Bloodstone gets its meaning from Greek which means sun turning. It is a dark green stone with spots or bands of red that resemble drops of blood. Because of this, it was often carried in amulets or jewelry as it was believed to stop bleeding and wounds. 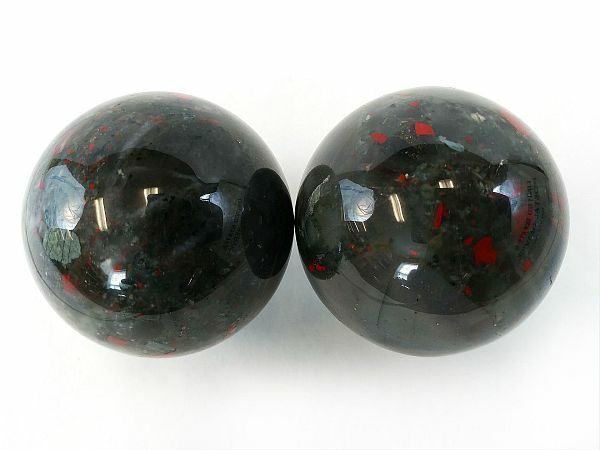 Metaphysically, people use bloodstone to fight evil and aid physically with blood flow and blood disorders.